In February, we decided to make the most of a long weekend (…plus a few extra days off!) and go on a winter vacation to Montana. 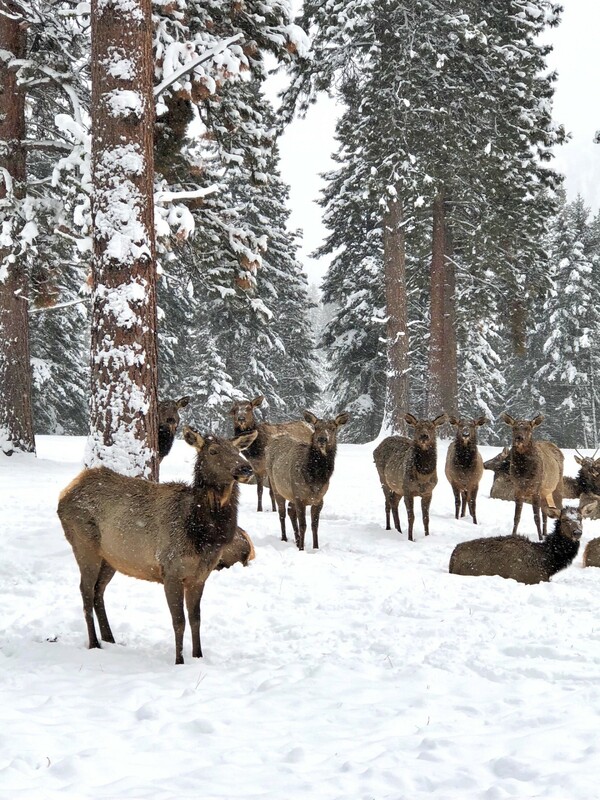 As a novice skier, my goal for researching destinations out West was to find a place that allowed for time on the slopes along with a myriad of winter activities. 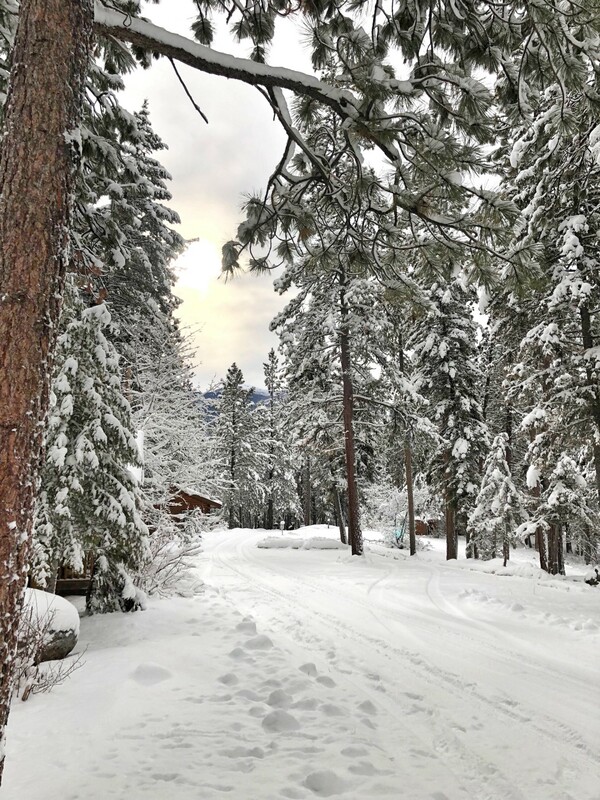 After our friends came back from a holiday trip at Triple Creek Ranch, a Relais & Chateaux property in Darby, Montana and raved about it, we knew we had to go. 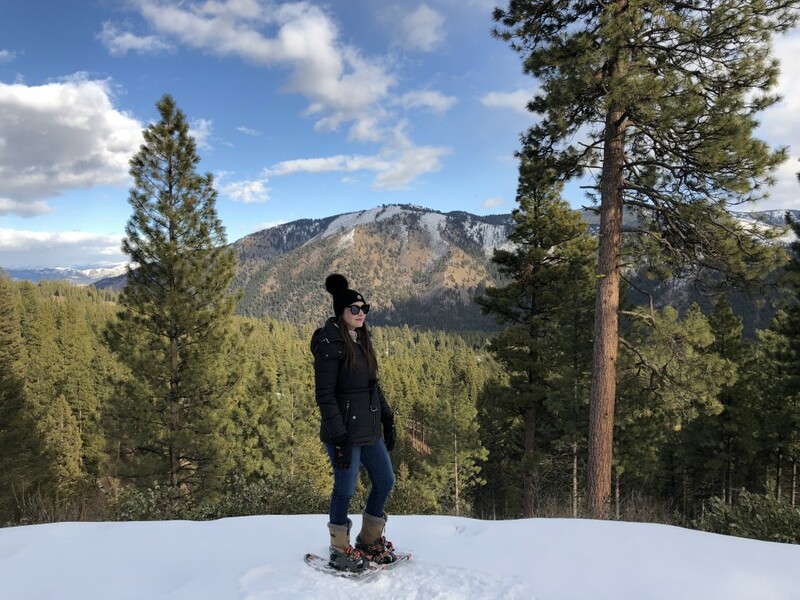 I wasn’t totally sure what to expect from the state of Montana, but I quickly fell in love with its gorgeous landscape and friendly, down-to-earth energy, both of which were a welcome change from city life. 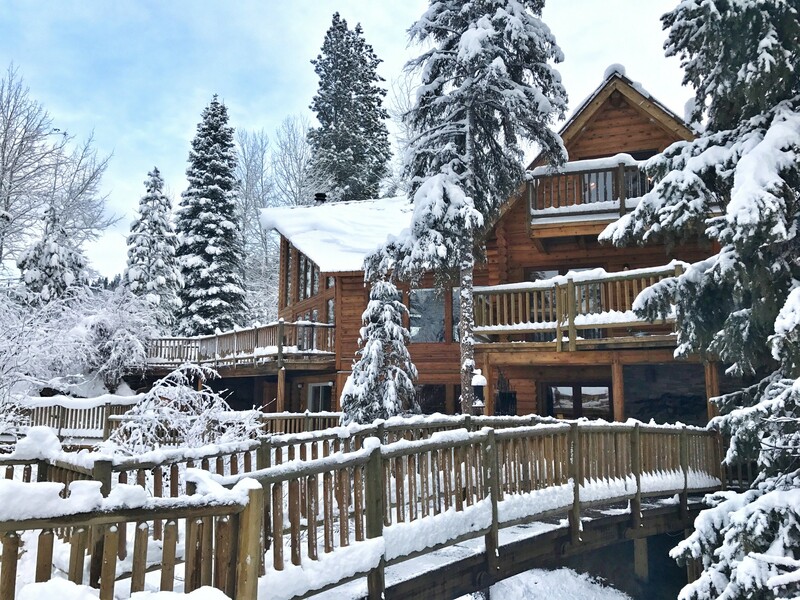 The picturesque Triple Creek Ranch was the perfect place to call “home” for our three-night adventure. 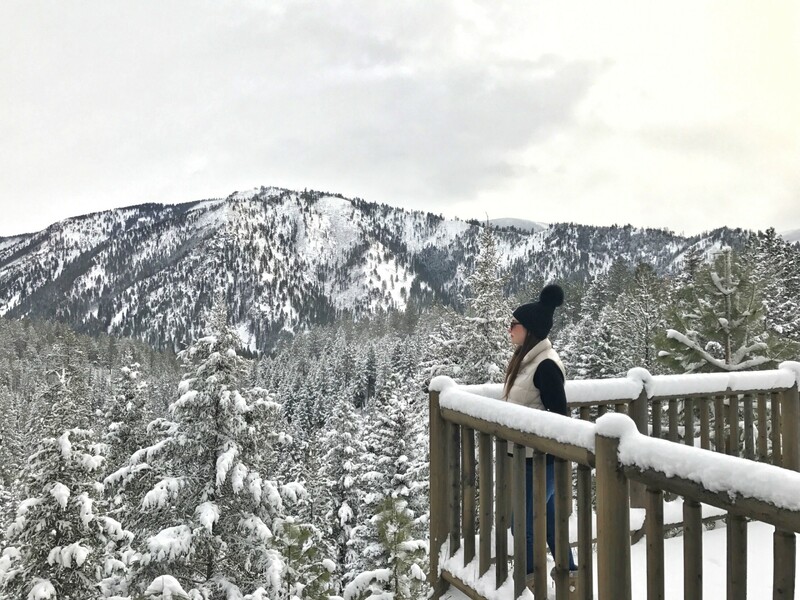 Situated on 50-acres in a valley surrounded by the Bitterroot National Forest, this adults-only, all-inclusive resort made quite the impression on us. 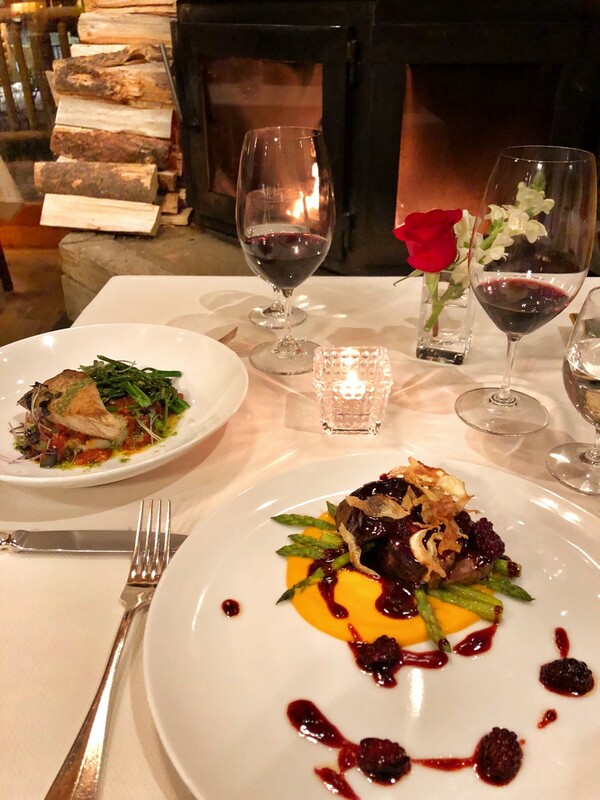 Typically we steer clear of all-inclusive options, especially when we have traveled to the Caribbean, but the level of service and culinary expertise at Triple Creek Ranch far exceeded our expectations. 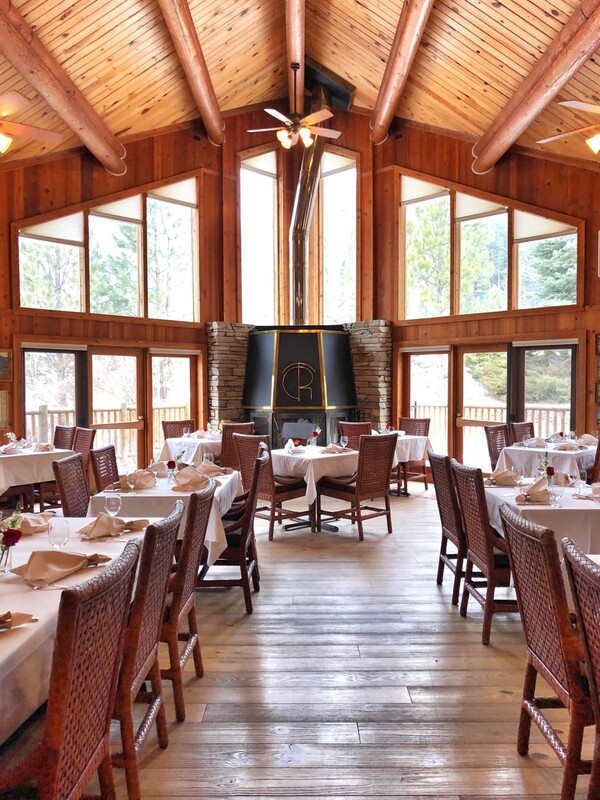 From the warm, attentive customer service to the delicious menu options available during breakfast, lunch, and dinner, we had no complaints during our stay at the ranch! Oh, and if you are a foodie, the tasting menus each night at dinner will make you feel right in your element. 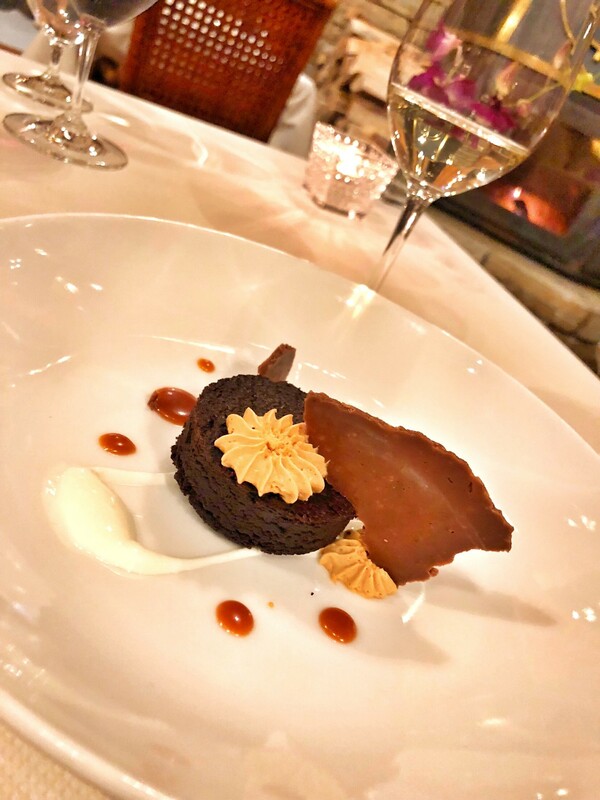 For those with a sweet tooth, the pastry team creates the most amazing morning pastries and desserts to complete each meal. I could go on and on about the food here because it is really fantastic! 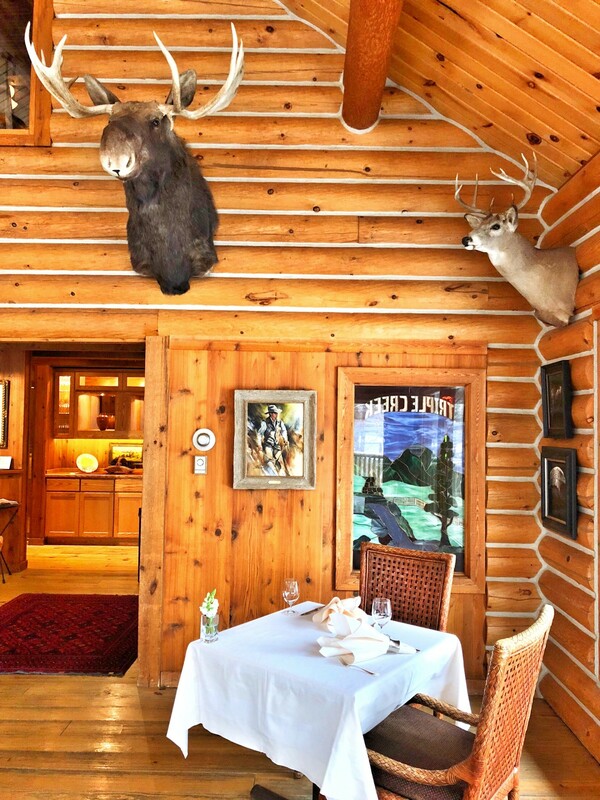 The property boasts 25 uniquely decorated log cabins, each of which is outfitted with a fireplace or wood-burning stove, alongside all the amenities you could ever need. 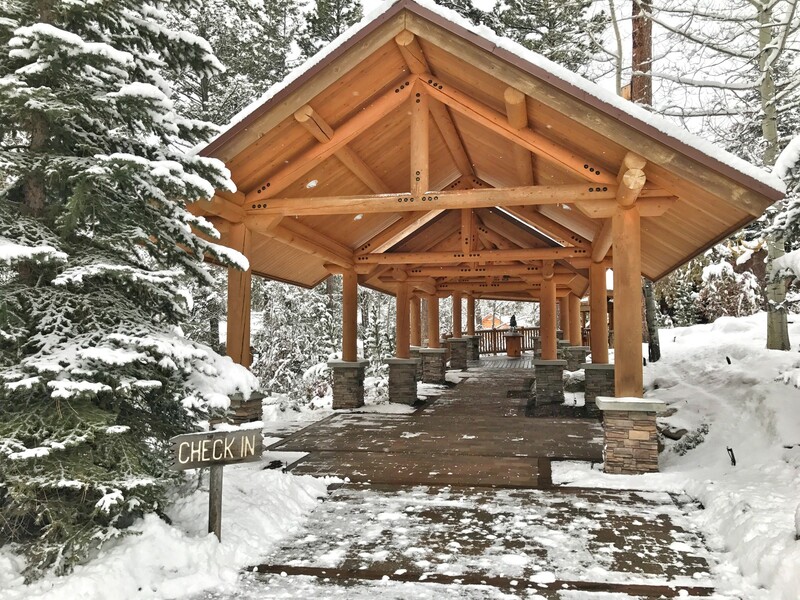 While some cabins have a hot tub on their porch, our hot tub was situated in the nearby woods and offered the perfect place to unwind after a busy day of activities. 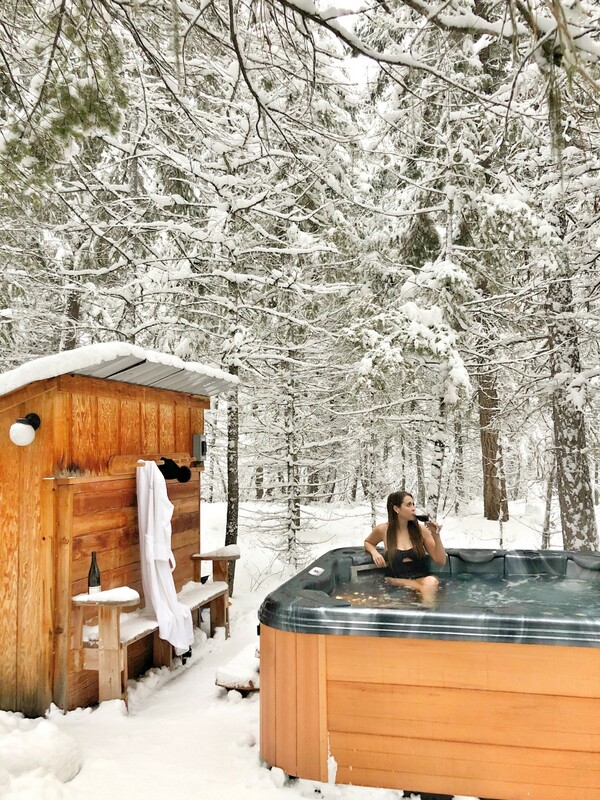 Plus, what’s better than basking in a warm hot tub in the woods as the snow falls down around you?! Nothing! 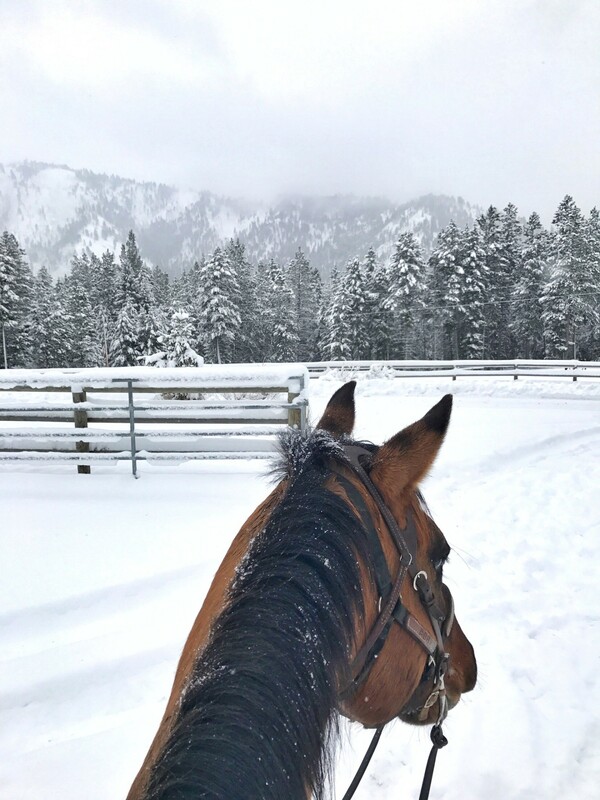 What I loved about our trip to Montana was that we could do as little or as much as we wanted while on the ranch. 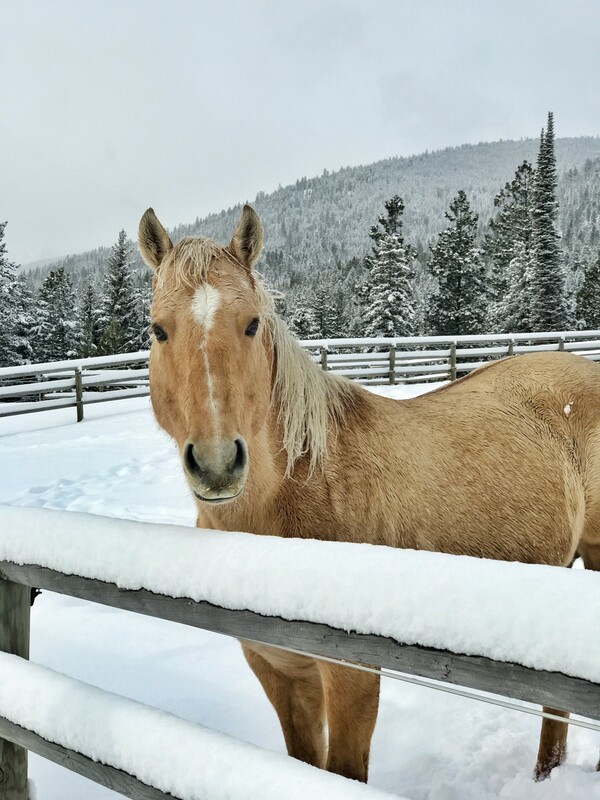 From snow-shoeing and horseback riding to archery and Stave puzzles, the list of activities went on and on, and even included a complimentary shuttle and lift passes to the nearby Lost Trail Pass Powder Mountain. The activity team was always fully prepared to dress us in snow jackets, boots, and gloves with a never-ending supply of hand and toe warmers! 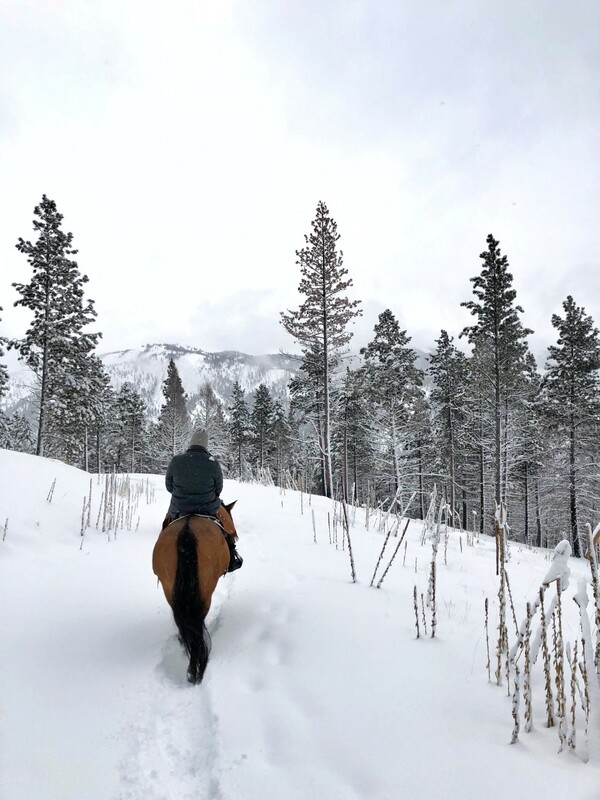 During our visit we learned that the busy season for Triple Creek Ranch is actually the early summer through early fall when it comes alive with outdoor excursions like cattle drives and fishing. Needless to say, we’re already planning a trip back during the warmer months! 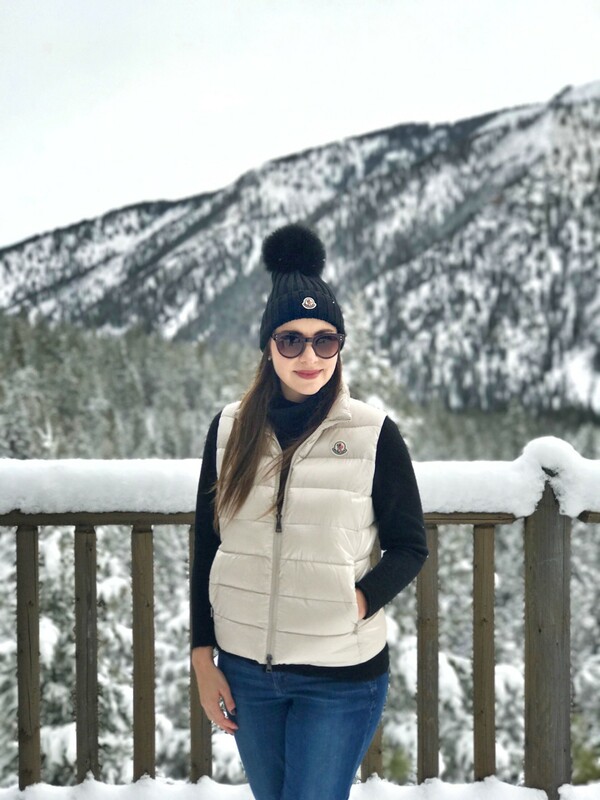 This post was NOT sponsored by Triple Creek Ranch — we just absolutely adored it! This is my Dream Holiday! 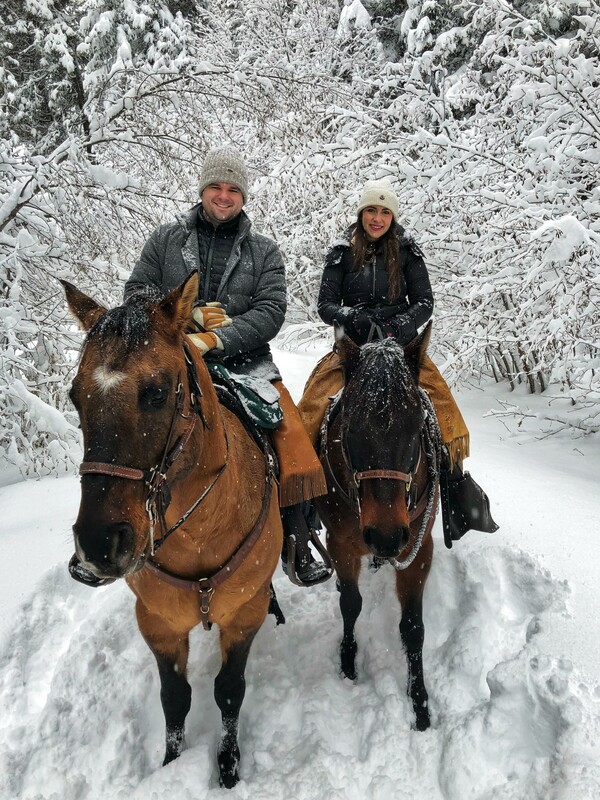 I have never been to the snow and I would love to go with my wonderful husband one day <3 Absolutely love this place! Angela, it is such a special place and would make for a wonderful getaway with your husband. I highly recommend it!